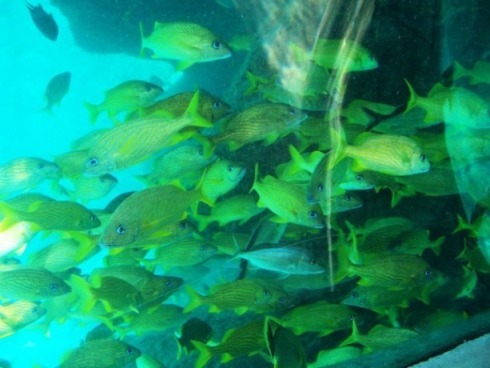 Whether you are a guest or a visitor, don’t miss the network of underwater viewing tunnels centered in the Atlantis Aquarium displays, such as The Dig. 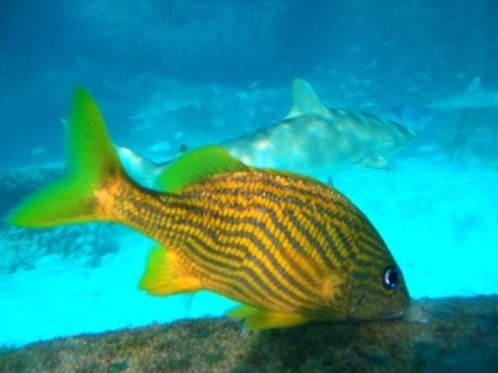 Take some time away from the beach, pools, casino, and other activities to enjoy these elegant sea creatures in their silent depths. 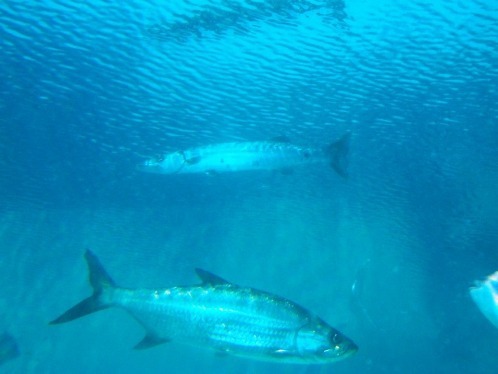 From the underwater viewing tunnel, you can observe the fish and other sea creatures in their native habitat. The animals are not shy and come right up to the glass to say hi. 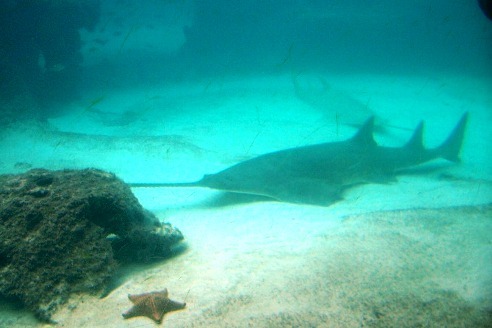 A sawfish swims past a starfish. 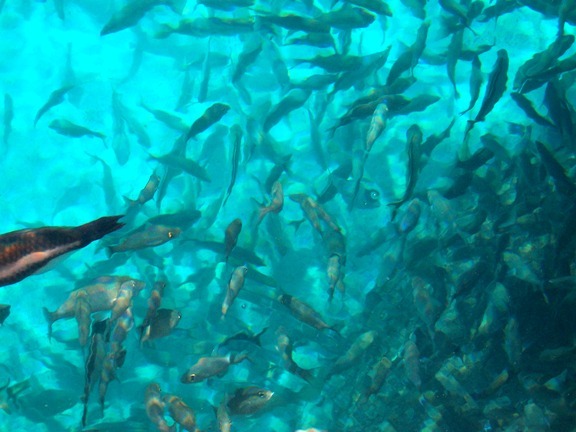 Schools of fish move as one through the labyrinth of connected lagoons and pools. 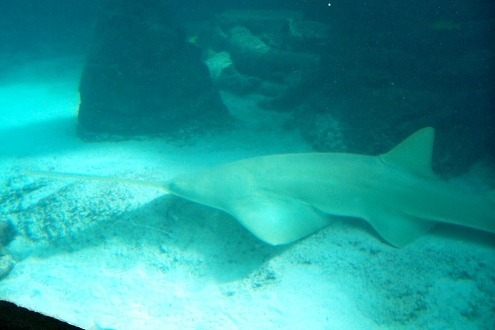 I get a deep feeling of peace and restfulness while gazing into the silent, murky world of these mysterious sea animals. 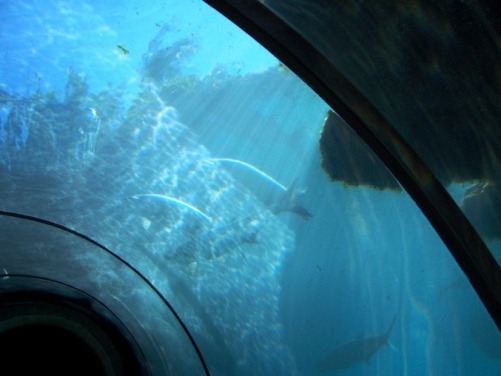 These aquariums are particularly alluring at night, when human visitors desert them.